Since five days, I am happy. I am attending a very high level World Championship, with exceptional pure judo. I see, and it's logical, that athletes are more engaged than during any other competition on the circuit. It's a World championships and that can be felt. The desire to win is there, for sure, but in addition there is the way to win. At a tournament like this, it's not any more about protecting yourself. You have to win, that's all. In all matches, it's really impressive to see how much interaction there is between the athletes. They are listening to each other. The one who wins is the one who can listen better than the other. It is essential to read the opponent, to feel what he is going to do. Everything happens in a split second. One must anticipate, seize the opportunity when it comes. That's the beauty of judo. I like to say to the athletes that they must push this principle by being almost able to listen to the heartbeat of the opponent. If you are able to do it, it means that you are in tune with the moment, ready to face any one and ready to win. I totally agree with the rule changes that took place after the Rio Olympics. Today we see how they have changed the judo. This is especially true for ne-waza (ground work). We see magnificent sequences where athletes do a real job that often ends in an ippon whether by immobilization, strangulation or armlock. We have seen a good example of it today, with the bronze medal of Axel Clerget. To be a great champion is to be able to engage, to be true and especially to give everything without any regret. It requires a total implication of the body and the mind and to go beyond the limits. The key to victory lies in the regularity of the effort. It's crucial. Sometimes during a matte, one can lose the thread of the fight, but then the opponent can take advantage of the situation and everything can switch in a split second. We have seen a lot of situations like this one here in Baku. 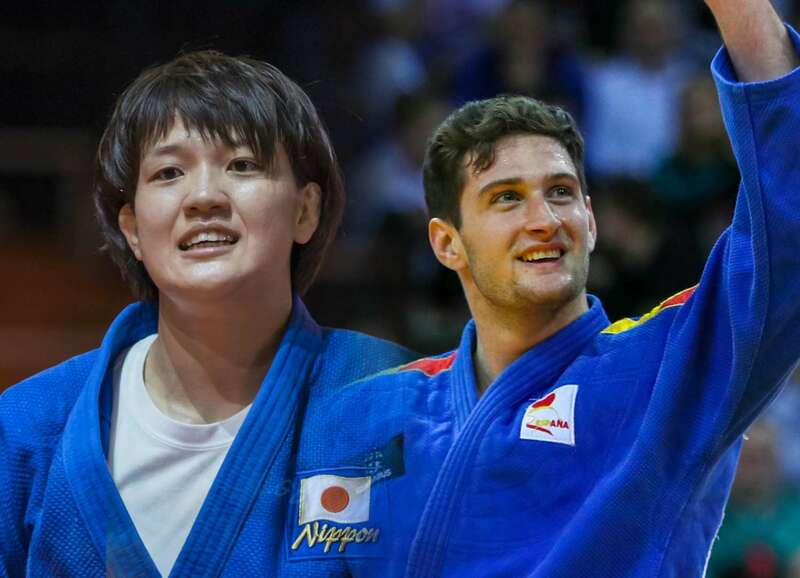 For example, the French Marie-Eve Gahie seemed to dominate the whole category and in the final she put immense pressure on the shoulders of Arai, who was non less than the title holder. Everything seemed to work perfectly for Gahie. Perhaps at that moment she started to think of something else. She lost concentration, was destabilized and the Japanese who is a great champion, did not miss the opportunity. If you look at the French when she falls down, she has nothing in her hands, she does not know where she is and it's over, it's too late. In judo, you only need one moment to win. It's incredibly beautiful. I have seen many interesting things since the beginning of the competition. I have noted several situations in sumi-gaeshi for example, where several competitors exploit a position of uke, when he is almost down on the floor, but manage to slip under to project and score. It's interesting to see new opportunities come to the light. 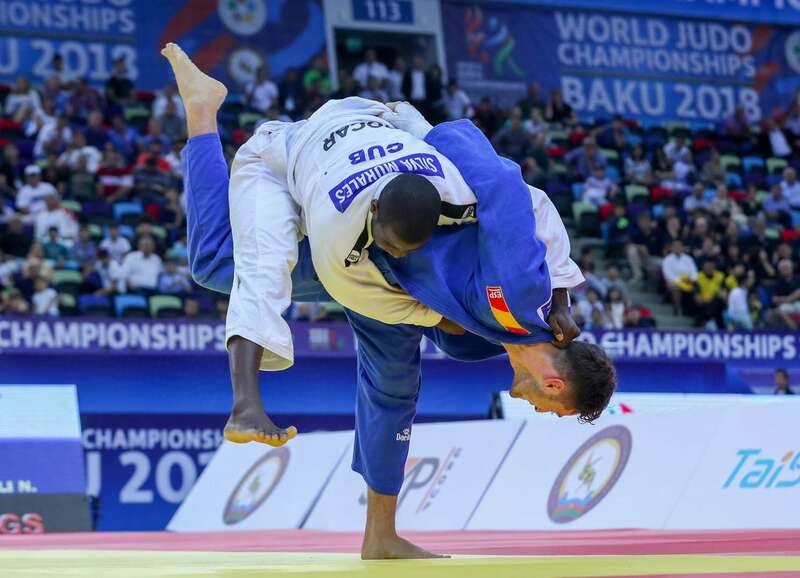 You have to know that athletes are constantly adapting to the rules and to the evolution of judo. That's what makes our sport so alive. For five days, the level of the finals has been really high. We see a little less work at the end of the sleeves that tended to block the matches. This is one of the positive consequences of rule changes. 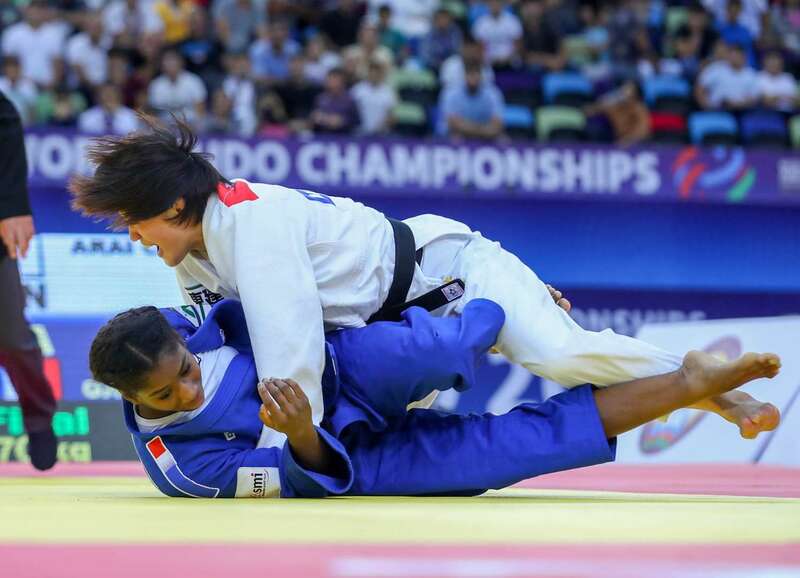 I can not just comment on what happened today, because how not to talk about the competition of Clarisse Agbegnenou yesterday who has demonstrated the entire class of her judo. At the same time, it is difficult to say much about her because she was perfect in all areas. She is a very offensive young woman when she gets on the tatami. She moves forward, she wants to score with her movements but she also wants to leave a footprint in people's mind. In the past, she lost some bouts including the Olympic final, because of lack of control. She wanted to do too much and she was not always able to handle the pressure. Today she has gained this dimension that she missed a little and she is unbeatable. She has made a lot of progress on right-handed opponents too. What happened in the final is the perfect illustration of what I said earlier. She waited and she seized an opportunity, the only one that came up and she transformed it into gold. I must also say how much I was moved by Abe sibling's performance. Of course, we can say a lot about the purity of their judo and on the position of her (Uta) foot support during uchi-mata at the golden score, but what moved me even more is to see her happy, smile, even laugh. It's a real pleasure to see the Japanese and other champions, of course, having fun on the tatami. It is important that they understand that they must also share their joy. Cathy Fleury Catherine (Cathy) Fleury, born June 18, 1966 in Paris, is a French judoka who has distinguished herself in the category of -61kg. She won the gold medal at the 1992 Olympic Games in Barcelona, ​​when women's judo entered the Olympic program. Cathy Fleury was also World Champion and the first French woman, all sports combined, to win the three major competitions (Olympic Games, World Championships and European Championships). She later became national coach in France and now officiates as an expert of the International Judo Federation.